First-year Shovelheads were essentially Panhead motors with a new top end. Redesigned cylinder heads were aluminum versions of the Ironhead Sportster heads, and gave a 10% increase in power. 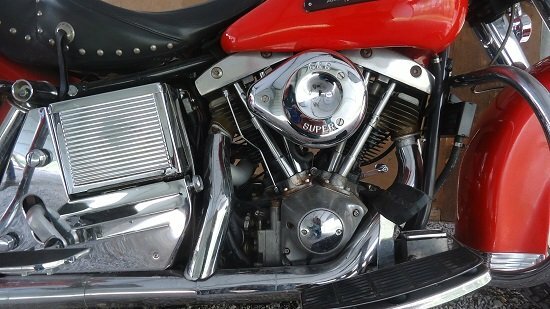 Whereas the Panhead engine had valve covers, Shovelhead cylinder heads were covered by rocker boxes, which resembled upside-down coal-shovels. The nickname "Shovelhead" was adopted shortly after it was introduced. The rest of the Shovelhead motor, essentially a carryover, had a 74 cubic-inch displacement (1208cc advertised as 1200cc), which was the same size as the Panhead it was replacing. With a compression ratio of 8:1, the OHV big-twin motor was fed by a single Linkert carburetor. The 4-speed transmission was a separate unit. Both primary drive and final drive were chain. The Harley-Davidson Shovelhead motor saw numerous changes over its 17 years in production. For the first three years, it ran a generator and kept the old kidney-shaped timing cover from the 1958-1965 Panhead. These 1966 to 1969 Shovelhead engines are sometimes referred to as a flat-side Shovel, or Pan-Shovel. Generators and voltage regulators are always suspect on early Shovelheads. The charging systems on pre-Evo Big-Twins are hard to understand and even harder to keep charging. 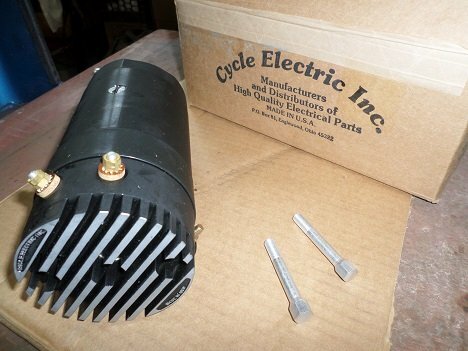 read Harley Generator - Repair or Replace? From 1970 on, Shovelheads were equipped with alternators, with a new bottom end that featured a gear-drive unit. Mechanical breaker points and advance in the gear case replaced the external "timer" ignition. As the alternator and ignition were now located in the timing case, the case cover became cone-shaped. The inner and outer primary covers were redesigned for the alternator, which was mounted in the primary case. The cone-style lower end saw use up until the Evolution motors. Harley FL models came equipped with Bendix carbs from 1971 through 1975. The redesigned oil tank now had a pull-out dipstick. Exhaust header pipes were chrome plated, and the chrome-plated flex-covers were no longer offered. The foot shift/hand clutch combo was available until at least 1972, presumably by popular demand. Although the Harley Electra Glide is associated with saddlebags, they were not standard equipment until the seventies. Designed by Willie G. Davidson, the 1971 Harley Super-Glide combined the lighter, thinner front-end of the XL Sportster with a Big-Twin frame and motor. 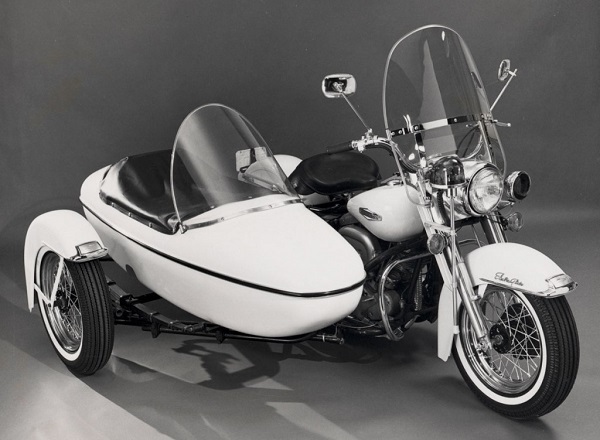 At 560 pounds, it was 150 pounds lighter than an Electra Glide, and 60 pounds heavier than a Sportster. Turn-signals became mandatory in 1973 for all motorcycles sold in America. In 1974, Harley FL Touring models switched from Bendix carburetors to Keihin, while the FX models continued using the Bendix carb. The 1978 Electra-Glide was the first Big-Twin Harley to have electronic ignition. In the mid-seventies, Shovelheads were updated with an "end oiling" flywheel, where the oil was continuously fed into the lower end from the oil pump. Earlier engines were "side oiling", where the flywheels got a shot of oil once each revolution. Either method worked but continuous flow was more efficient. 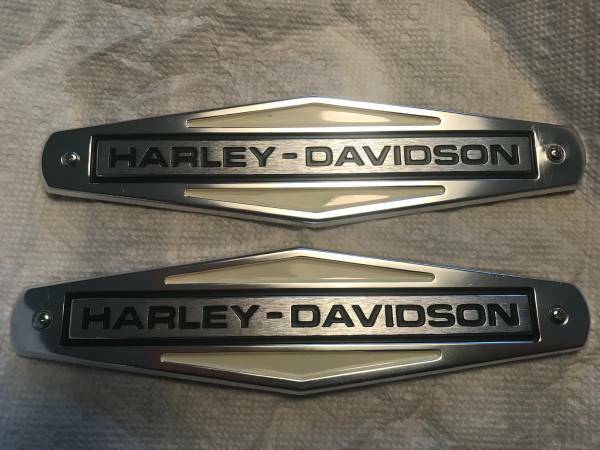 Harley Shovelhead gas-tank emblems were the same from 1966 through 1976. From 1966 to 1977, the Harley-Davidson Shovelhead displaced 74 cubic-inches. During production of the 1978 model year, a larger engine was offered with the FL touring bikes. Using the same base engine, displacement was increased to 1340cc (80 cubic-inches). This was done by boring the cylinders out to 3.50" and increasing the stroke to 4.25". The larger engine was offered on the FX series in 1979. Whereas the 74ci motor was designed to run on premium leaded fuel, the 80ci motor was designed to run on premium unleaded. The 74" and 80" Big-Twins used the same cylinder dimensions, but the 80" was bored out to the larger size. Externally, the only difference between the two Big-Twins was the 80ci had one less fin on the cylinder. Both the Harley 74ci and 80ci engines were available for several years. The original 74ci displacement Shovelhead was offered for the last time in 1980, in the FLH 1200 Police model and the FXS 1200 Low Rider. A cylinder head change was seen in mid-1978. Early Shovelhead motors had a small-lip O-ring to seal the intake manifold to the cylinder head. Starting in mid-1978, the O-ring was replaced with a flat band with no lip. The big news for 1980 was the new FLT Tour Glide. A new belt-final drive gave quieter operation with no adjustment or lubrication needed. The new model also featured a redesigned frame and engine-mounting system, with the swing-arm bolting directly to the (also new) five-speed transmission. Several other upgrades included a spin-on oil filter. In the first-year of Shovelheads (1966) there were four model designations. By production's end in mid-1983, there were 16 models. From 1980 to 1984, the only available Harley Shovelhead was the 80ci model. The new 80ci Evolution engine began in 1984. From 1966 to 1969, the only VIN number on Big-Twins is located on left engine case. There were no frame numbers until the 1970 model year. The first two numbers are the year, and the letters in the middle (up to four) are the model code, example, FL or FH. The last numbers are the production number. Until 1969, engine VIN numbers usually started at 1000 each new year. Harley-Davidson didn't necessarily assemble machines in exact numerical (serial number) order. Sometimes engines were held back due to one reason or another, so it's possible that an engine with a numerically lower VIN number may have reached the final assembly line after engines which had a numerically higher VIN number. From 1970 to 1980, matching VIN numbers appear on both frame and engine. These numbers will match exactly if the bike is all original. For collectors and investors, it is important that Vehicle Identification Numbers (VIN) on the bike match. In an attempt to curtail theft, the Motor Company used different frame and engine numbers on some 1979 models. The frame numbers didn't match the number stamped on the engines. The first two digits remained the model code. From 1981 to 1983, a 17-digit VIN appears on the frame, and the engine had a partial VIN. Getting tired of crouching down on your hands and knees while working on your classic bike? 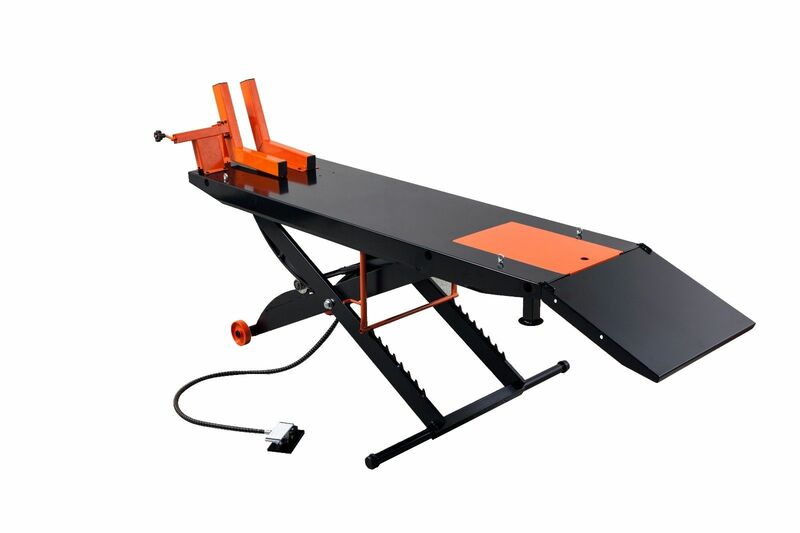 Having a motorcycle lift stand saves you time and space, and makes working on your old scoot more enjoyable. Harley-Davidson motorcycles had two diameters of seat posts from 1929 to 1999. Most Knuckleheads, Panheads, and Shovelheads (up to 1981) have a seat post diameter of 1.18" diameter (bushing ID 1.185") On 45" solo bikes and Servi-cars from 1930 to 1973, the seat post diameter is 1.06" (bushing ID 1.065"). This smaller seat post also fits 1982 to 1984 FLH four-speeds, but not the five-speed FLT or FLHT. There are slight variations in the seat bracket but for the most part they will interchange. Market demand remained high, even years after the Evolution (Evo) engine replaced the Shovelhead in 1984. 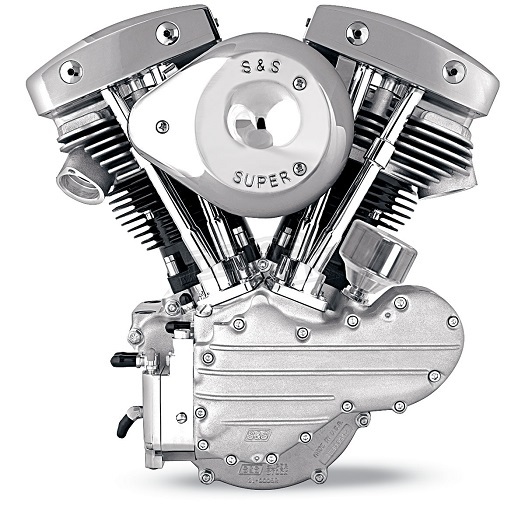 A handful of aftermarket engine manufacturers currently produce Shovelhead-style engines which are offered in a variety of displacements. Each manufacturer includes upgrades to the original design which improve both performance and reliability.